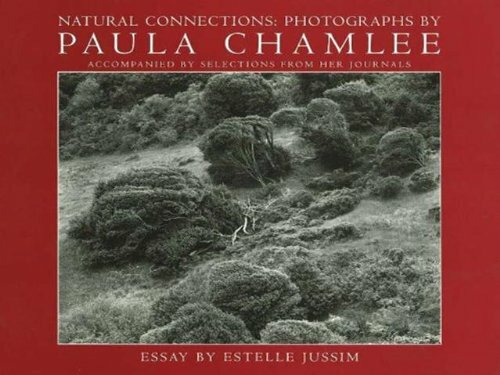 Natural Connections: Photographs By Paula Chamlee is the artist's first book. The 42 reproductions are from 8 x 10, 5 x 7, and 4 x 5-inch contact prints, and are presented one-to-a-page with blank facing pages, encouraging contemplative and prolonged looking. Chamlee's journal entries - accounts of her experiences and insights while traveling and photographing - are carefully interwoven throughout the book, adding another dimension to our understanding of the artist and her work. The introductory essay by art historian and critic, Estelle Jussim, reveals further insights and explores the development and creative life of the woman behind these extraordinary photographs.